This Chia Pudding is one of the easiest and most versatile low FODMAP recipes. You can have it for breakfast, a snack in between meals, or a nice dessert after meals. 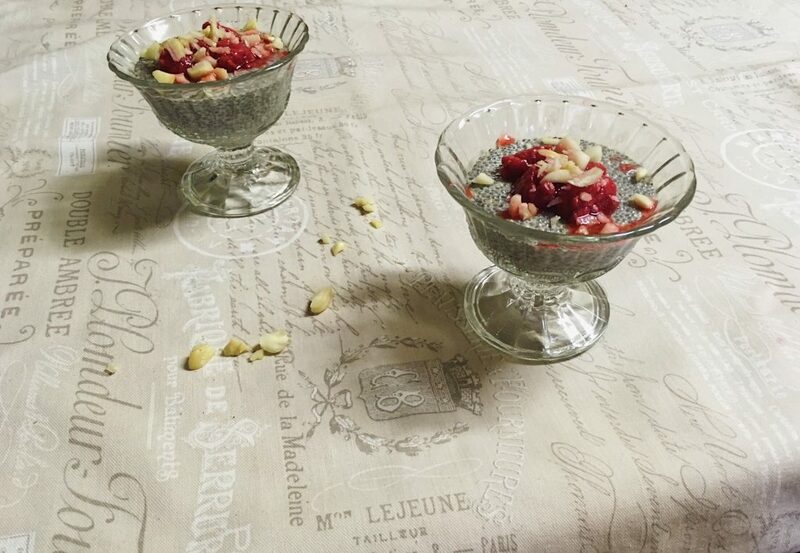 Chia puddings are also versatile and you can top them with fruits, nuts and anything of your choice! For this recipe, we used raspberries and macadamia nuts for the toppings. Chia seeds themselves are incredibly high in fiber. Combine the milk, maple syrup, and vanilla extract in a mixing bowl. Stir in the chia seeds and stir slowly. Stir for around 10-15 minutes, then pour it into glasses or serving bowls. Place in the refrigerator for around 5 hours, overnight is even better. Once the pudding is firm, top with raspberries and the chopped macadamia nuts.